Celebrate all mums and mother-figures with a special Mother's Day High Tea at Stamford Plaza Melbourne. Spoil her with an afternoon of free flow sparkling rose wine and mimosas. 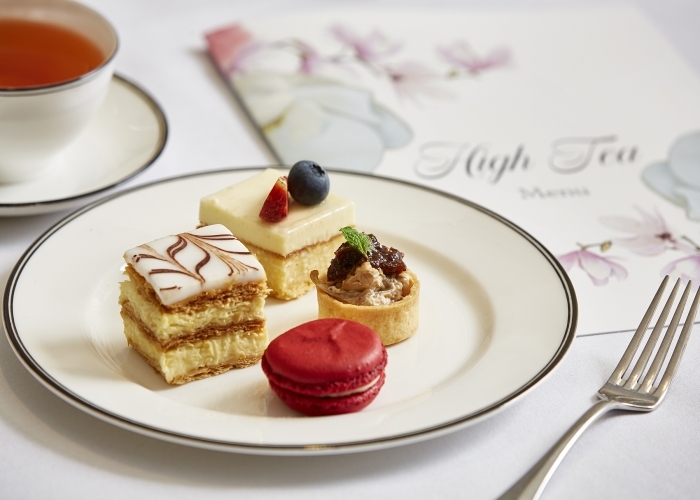 Relax and savour a traditional high tea served on an elegant three-tiered stand, featuring an assortment of meticulously crafted sweet and savoury bites, homemade scones and traditional finger sandwiches. We have a special gift for each Mum, plus a lucky draw for mum to stand a chance to win a fabulous prize. While we celebrate mum, don't forget dad too! We have something special lined up for Father's Day, coming very soon. Kids under 5 y. o. ding free. Golden puff pastry with mildly curried potatoes and chicken filling prepared with an old secret recipe passed on from generation to generation. *Menu items are correct at time of publishing, but may be subject to change. We are happy to cater for special dietary requirements (e.g. gluten free) - just let us know when booking. Photos used for illustrative purposes. Booking conditions apply.